You can spend hours choosing the perfect outfit, fixing your hair, and picking out awesome accessories. You want to make a good impression. However, all your hard work might fall flat if you have bad breath. No one wants to talk to the person who has unpleasant odors wafting from their mouth every time they say something. You might keep a supply of mints in your pocket, but there is so much more you can do to make sure you don’t alienate others with stinky breath. Your dentist in Upper Arlington is here to share a trick that will help keep you fresh all the time. All you have to do is clean our tongue. Your tongue is a quintessential part of how your mouth functions. This group of muscles helps you speak clearly and enjoy your food to the full. However, too often people take their tongue for granted; they skip it when they’re going through their daily oral hygiene routine. It’s important to clean this part of your body because, just like bacteria builds up on your teeth and gums, it can also collect on your tongue. The tongue has many little bumps on it called papillae, and odor-causing microbes can settle between those bumps. In fact, this little organ is home to over 55 percent of the bacteria in your mouth! The result of all those bacteria is bad breath. For a quick clean, you can scrub your tongue with your toothbrush and a little toothpaste. This’ll help get rid of some of the bacteria, but it’s not the most thorough solution. Remember, toothbrushes are designed to clean the smooth surfaces of your teeth, not the bump-filled landscape of your tongue. Try using a tongue scraper instead. All you have to do is place the tool at the back of your tongue and pull it forward. Be sure you get the sides of the tongue, and not just the center. Also, clean your scraper before and after each use to get rid of bacteria and food particles that might be cleaning to it. Another option is to use a specialized tongue brush. Just like with a tongue scraper, you start at the back of the tongue and come forward. You might have to go over your tongue a few times to get a thorough clean. 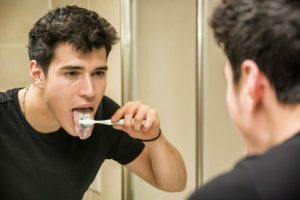 Just like you can’t get your teeth entirely clean via your own efforts, your attempts to vanquish bacteria from your tongue may not be as thorough as you would like. Artistry Smile Center offers a Fresh Breath Program, which includes complimentary tongue cleanings for life after the initial visit. You’ll also receive recommendations on which products are best for maintaining pleasant breath. Bad breath is the worst! Say goodbye to odor-causing bacteria when you keep your tongue nice and clean. Dr. Angela Courtney leads the team of professionals at Artistry Smile Center. 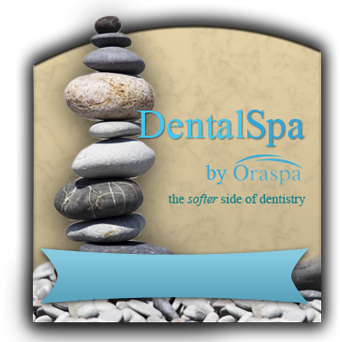 She is passionate about helping her patients achieve beautiful, healthy, and nice-smelling smiles. 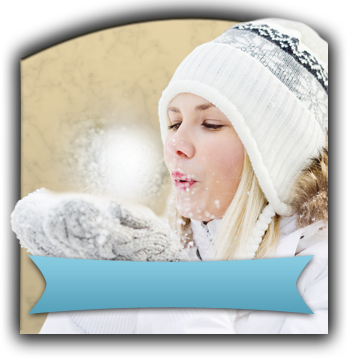 If you have questions regarding how to keep your breath fresh, contact Artistry Smile Center at 614-427-0734.